I recently finished my first novel, Conspiring to be Meri, that I am in the process of trying to publish. In the meantime, I’m also writing short fiction. My istory “Fruit Flies” was featured in Narrative Magazine. You must log in to read the whole (very short) piece. 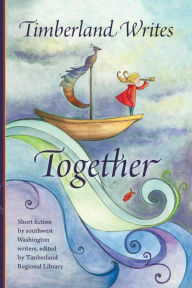 The Timberland Regional Library published a lovely anthology of short fiction in October 2015, Timberland Writes Together. I was honored to have my story, “Going Without,” included. Purchase a print version here.